Students learn how to use the tools of the film trade, such as cameras. Students in the Blue Horizons program shoot a scene for one of four films produced this summer. Students participating in this year's Blue Horizons program. Archaeology tells us that it’s likely hominids have been exploring the world since before there were Homo sapiens. It’s in our DNA. The latest expression of this fascination will unfold at UC Santa Barbara with a screening of four short films produced by students. 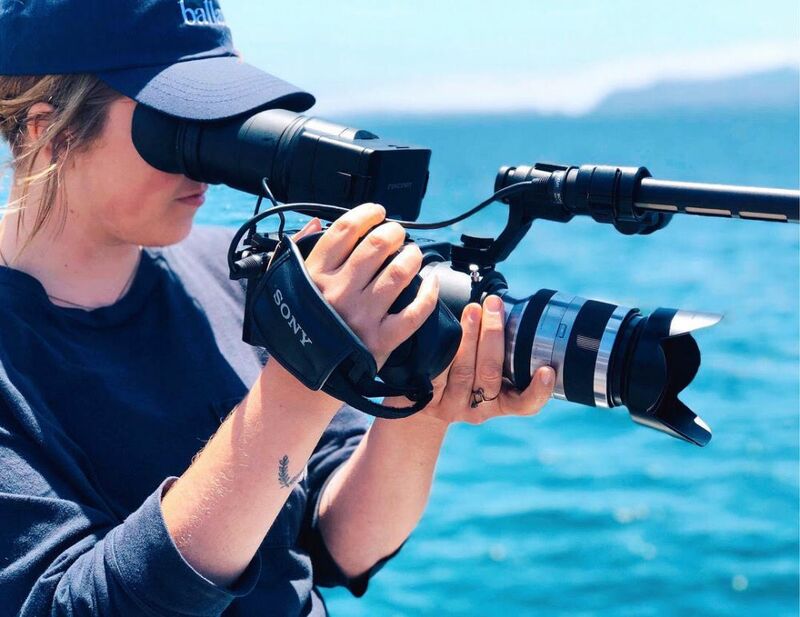 The culmination of the Blue Horizons Summer Program for Environmental Media, the films will premiere Friday, Aug. 24 at 7 p.m. at UCSB’s Pollock Theater. The event is free and open to the public. Reservations, which are recommended, can be made at the Carsey-Wolf Center website. Now in its 12th year, Blue Horizons offers a diverse group of students from a variety of majors a deep dive into film production over nine weeks. It’s an absurdly short time to teach them the skills needed to make a professional documentary, said Michael Hanrahan, who co-founded Blue Horizons with Constance Penley, professor of film and media studies at UCSB, and Steve Gaines, dean of the Bren School of Environmental Science & Management. This year, 17 students got an intimate and hands-on introduction to filmmaking from respected professionals. 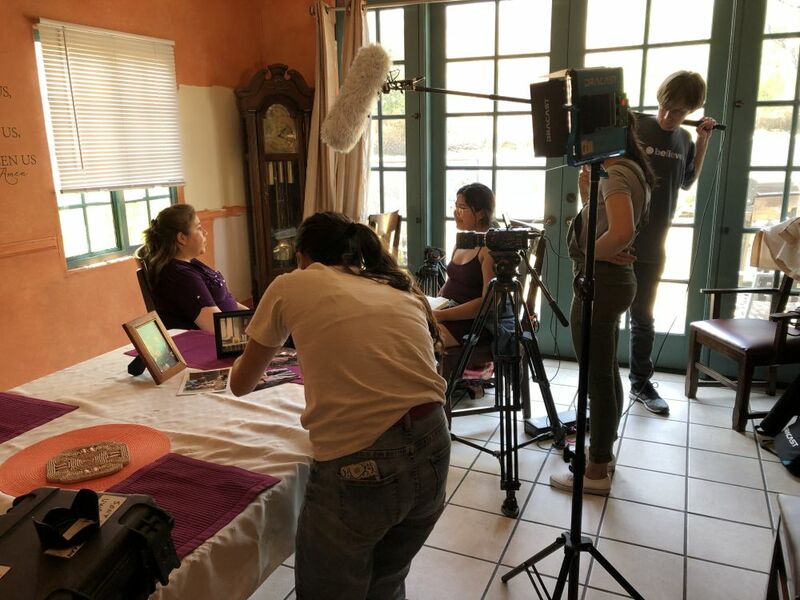 They developed a project, learned about storytelling and got familiar with the tools of the trade: cameras, lighting, sound and editing gear. Because Blue Horizons films typically focus on environmental issues, Hanrahan said, focusing on the twin disasters of fire and mudslides made sense. 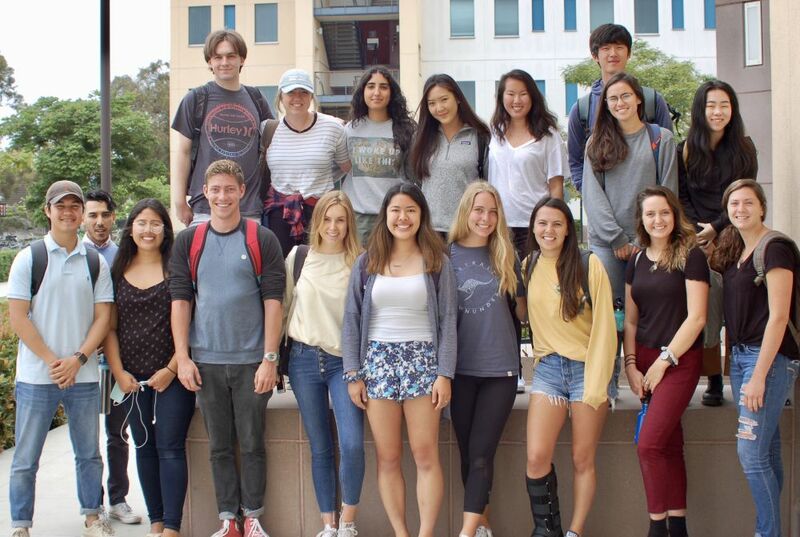 Of the other two films, one highlights three young activists in the UCSB community and their resistance to the Trump administration’s plans to expand oil drilling in local waters, while the other takes on the issue of food waste. Blue Horizons is sponsored by Sony Pictures Entertainment, Carsey-Wolf Center, the Associated Student Coastal Fund, the Bren School of Environmental Science & Management, the Department of Film and Media Studies, the National Marine Sanctuaries Channel Islands, Pond5 and UCSB Summer Sessions. In addition, the Benioff Ocean Initiative Environmental Media Fellowship program, funded by Marc and Lynne Benioff, provides financial support for Blue Horizons students. This is the first year the organization has contributed to the program.